Featuring some of Australia’s most famous and popular artists, this exhibition of 25 works from the Gallery’s collection charts the continuous development of the still life in Australian art. 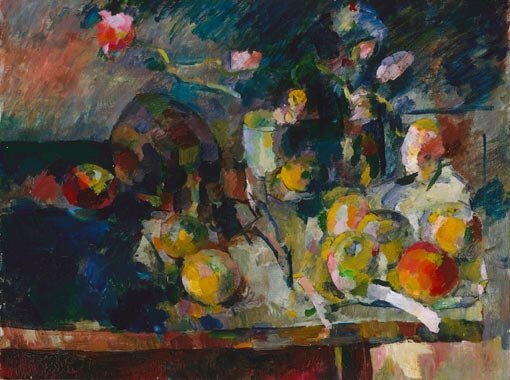 It includes significant paintings by Margaret Preston, Margaret Olley, George W Lambert and Arthur Streeton, some of which have not been exhibited for decades. These are displayed alongside a large-scale sculpture by Ricky Swallow titled Killing time 2003-04. A changing selection of works on paper focuses initially on watercolour, including works by Elisabeth Cummings, Kevin Lincoln, Brian Dunlop, Peter Godwin and John Bokor. In late October these will be refreshed by prints and drawings by Peter Booth, John Brack, Cressida Campbell and others.